« Sorry Maggie, this turkey is all mine. 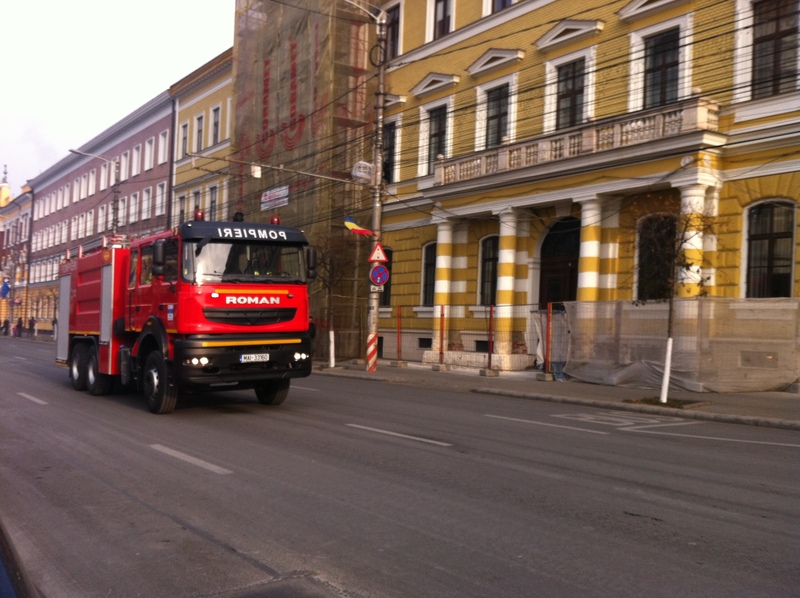 Since the Thursday immediately after the Ministry of Foreign Affairs award ceremony was Ziua Nationala (National Day), a major holiday here in Romania, school was closed and thus I was off work. And being that I only had two classes scheduled for that Friday the gods of coincidence were clearly encouraging me to take a five-day weekend. With my annual leave form submitted and approved, the only remaining question was where to go? 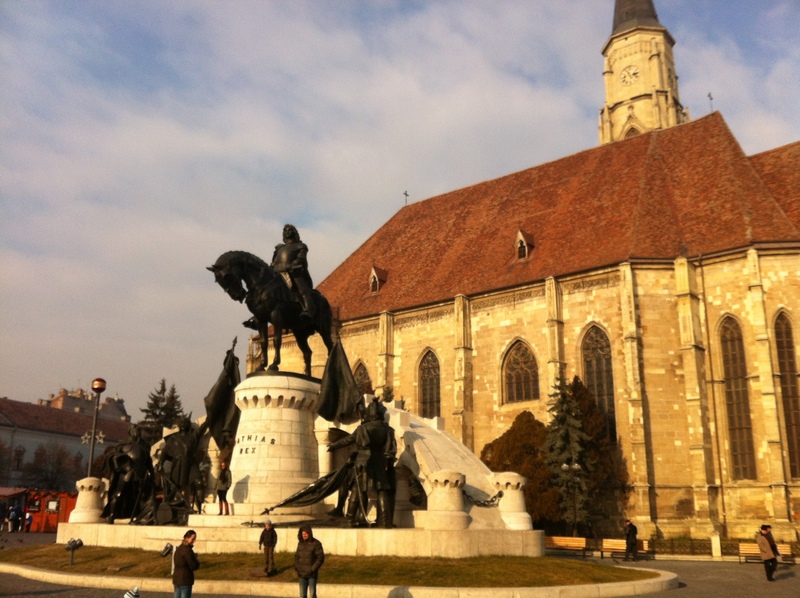 The criteria of “someplace new”, “relatively convenient to reach” and “cool”, pointed us to Cluj-Napoca. Located northwest of the Carpathian Mountains in Transylvania, Cluj is deep in Romanian-Hungarian territory and would prove to be a better time than I could have possibly expected. The only miscalculation I made during this adventure was securing a regular second-class train ticket for the overnight trip from Bucharest to Cluj. Normally for a journey like this I would invest in a cușeta ticket and sleep the night away in relative comfort. However, to save a few RON, I opted for the stifling over packed general cabin, which for no extra charge, features an overwhelming affront to a passenger’s every sensory perception. Fortunately, a couple of hours of sleep at the hostel after my predawn arrival Thursday morning set me straight. Regardless, even the grumpiest of Scrooges would have to crack a smile and feel at least mildly contented upon setting eyes on the streets of Cluj for the first time. 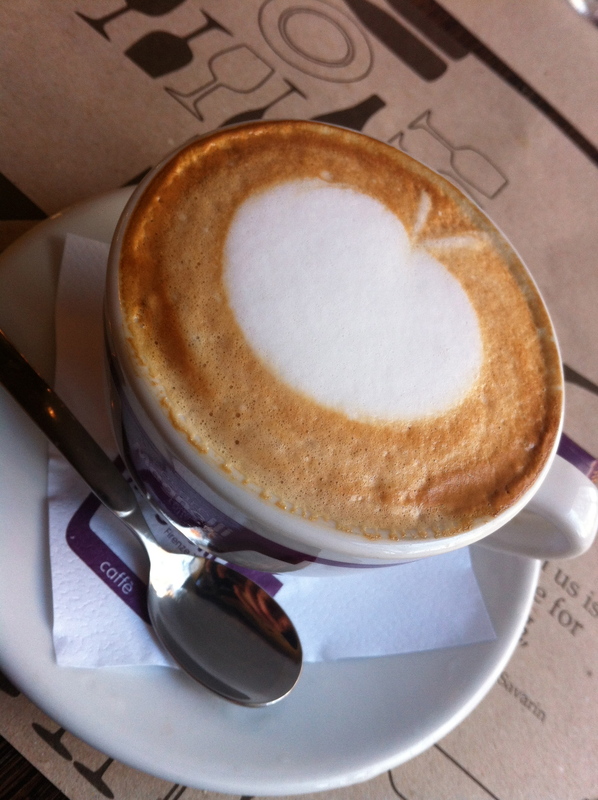 Following my nap and a great cup of coffee at the hostel, we set out to explore on the bright though subfreezing day. To get our bearings, we visited the top of a nearby hill in Parcul Cetatuia on the northern side of Cluj and which overlooks the city. The old though renowned Belvedere Hotel seemed shuttered up at the moment but undoubtedly offers amazing summer views in season. From our vantage point, we could see the three main squares that Cluj offers, complete with historical churches, the oldest of which dating back to the 14th century, Saint Michael’s in Unirii Square. The Orthodox counterpoint, Catedrala Adormirea Maicii Domnului is located a few blocks away in Avram Iancu Square and is frankly more aesthetically impressive both inside and out. 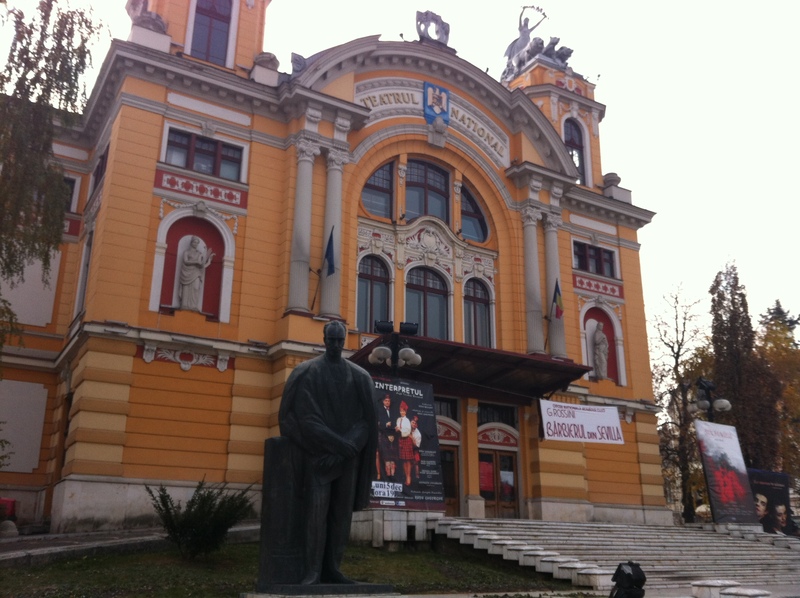 Across from the Orthodox Cathedral is Lucian Blaga National Theatre the old opera house built at the turn of the 20th century. With an understanding of the city layout and a few landmarks in mind we setout to explore the city close up. 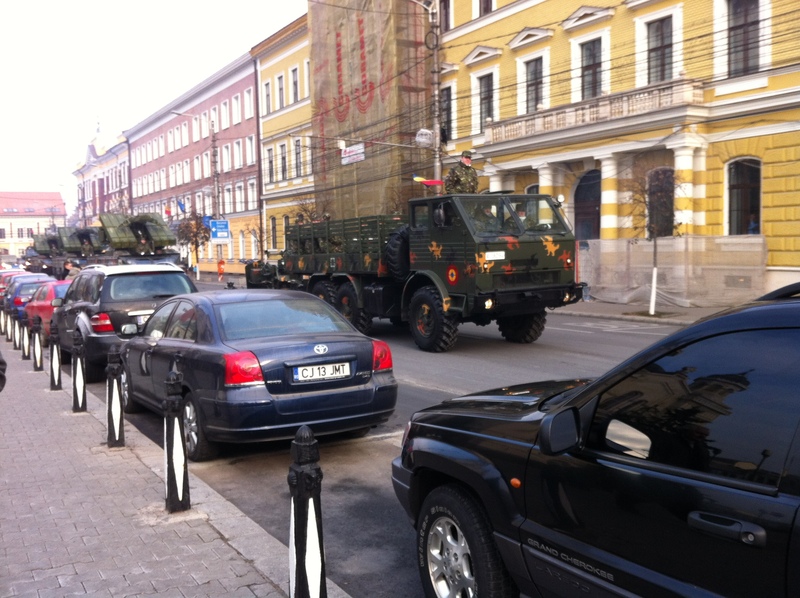 Being that this was Romania’s National Day, we were witness to a couple of unexpected events. 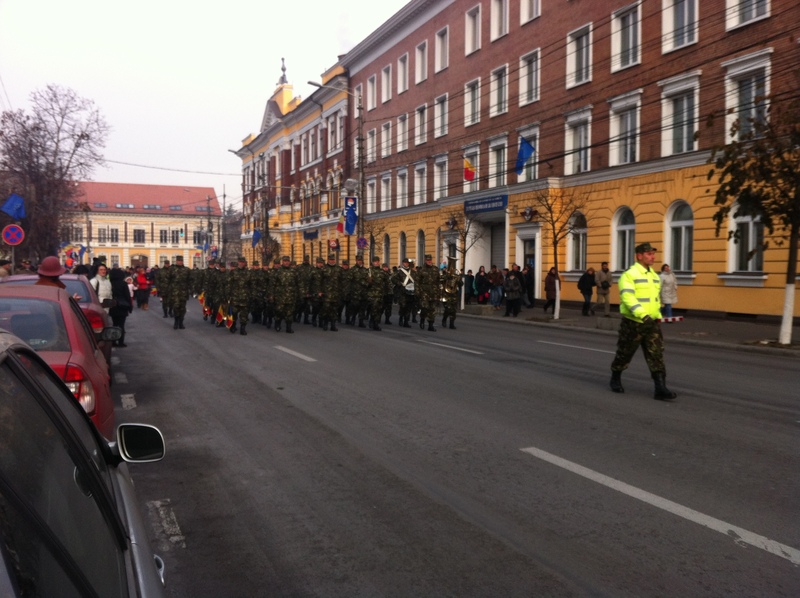 The first of which was a full military parade around Piața Avram Iancu. As interesting as the parade was I have to admit that it was oddly eerie at the same time. 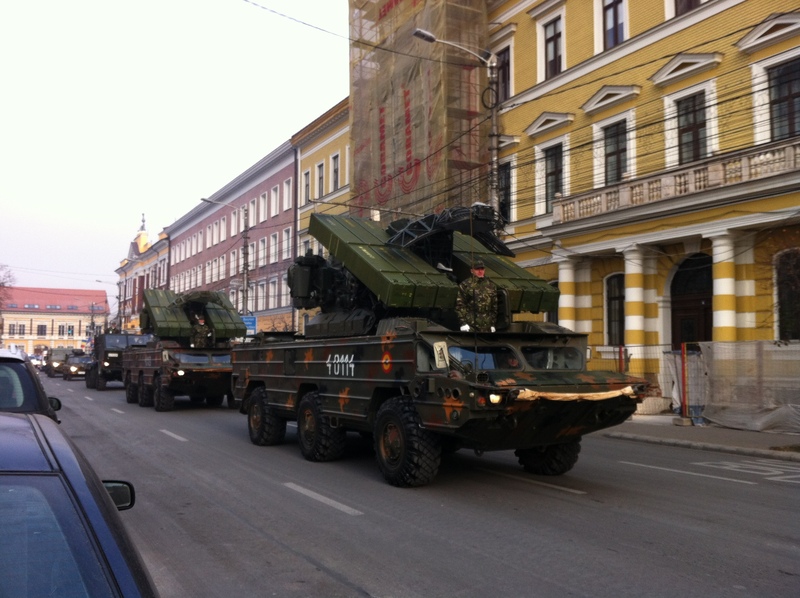 There we were, American visitors, in the center of a formerly solid communist country, watching tanks, trucks with missile launchers and droves of uniformed troops marching around as a show of nationalistic pride. The detail that many onlookers were dawning the stereotypical Russian style Cossack fur hats didn’t alleviate my cold-war nostalgia any either. Fortunately the Kurtos Kolacs brought me right back to a happier time. This is a Hungarian pastry rolled out flat, then molded around a wide cylinder and grilled over an open charcoal fire with a sugar glaze. The final touch of seasoning, with your choice of cinnamon, nuts, or coconut makes for a heavenly dessert. 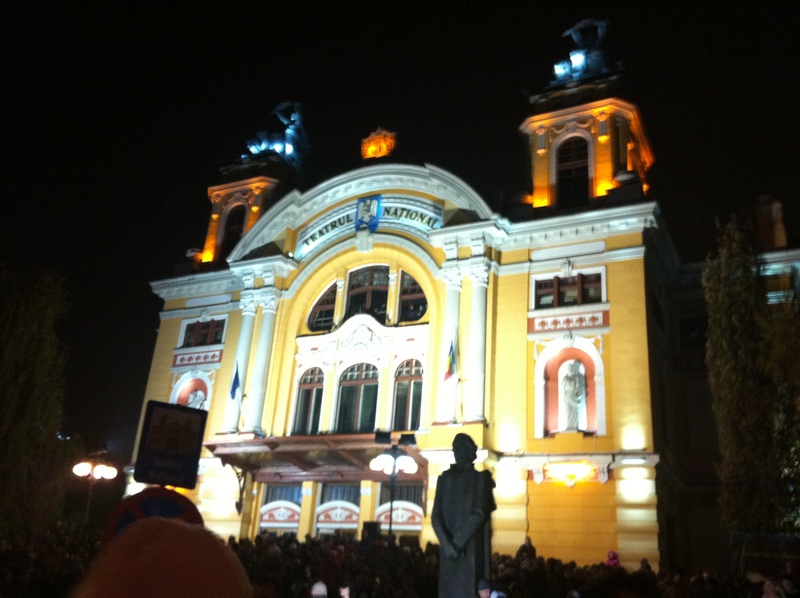 Without question, my favorite part of Ziua Nationala and perhaps the entire weekend took place that evening on the steps of the beautifully lit opera house. 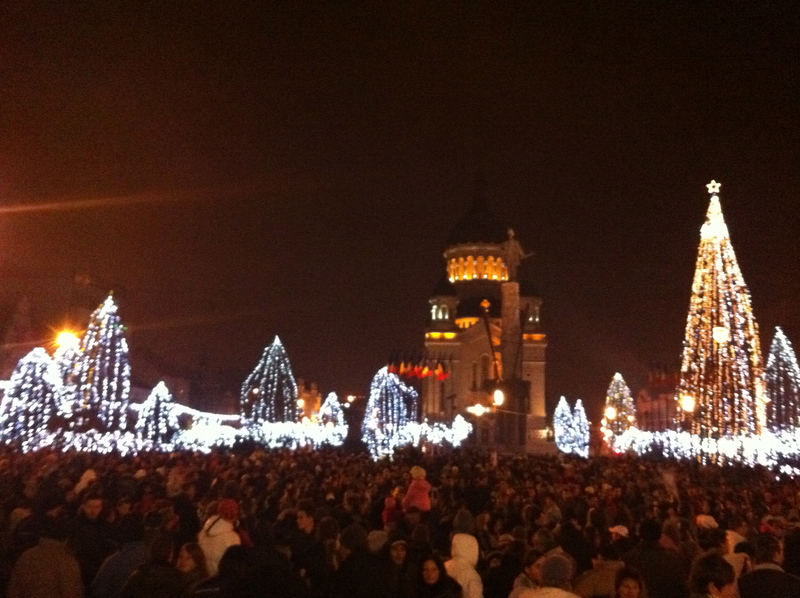 A short walk from our hostel, the whole of Piața Avram Iancu filled with people huddled in the freezing cold to see a display of fireworks. The festivity began with a police car slowly making its way through the crowd that had gathered on the street in-between the Orthodox Cathedral and the opera house. Once the sea of people had been parted a slow beat of drums began and a column of soldiers made their way across our field of vision, each holding a lit torch of fire. The soldiers stopped, turned towards the cathedral and the city’s new young mayor made a brief announcement over the loud speakers. With the politics out-of-the-way, the music of Enya began streaming through the air all around us. What happened next can only be described as the most impressive fireworks display that I have ever witnessed. This is perhaps, thanks in large part to Romania’s relaxed regulation of fireworks, evidenced by how close our crowd was positioned to the show. The fireworks were being shot off from just in front of the Orthodox Cathedral and were literally exploding in the sky immediately above our heads with burned out debris falling only meters away. From the instant that the fireworks began and for the incredibly long fifteen-minute duration of the show I was completely enthralled. More than once I thought that we had just witnessed the grand finale only to have the spectacle continue bigger, brighter and louder than before. The organizer would not be done until the sky was light enough to mimic the brightness of the sun. As the sky fell dark again, the crowd erupted into a jubilation of cheers and clapping; the soldiers signaled the end of the celebration by extinguishing their torches and marching solemnly out of the square. The next day was filled with more site seeing, more kurtos kolacs and more amazement at how wonderful Cluj is. As additional Volunteers arrived, the highlight of our day became again, how it ended, this time with an opera. On the play-bill for this Friday night was the Barber of Seville. We dressed up as best unprepared Peace Corps Volunteers could and we made the short walk over to the six o’clock showing. My Facebook comment from that day sums it up the best: “A French play turned into an Italian Opera, staged in Spain, sung in Italian, subtitled in Romanian, translated (mentally) into English in the Romanian city of Cluj. Life is good.” Indeed it is. Although the seats were probably originally designed for the prisoner waiting room of a cold war era government interrogation facility, our nose bleed tickets gave us a great view and were only six US dollars each. By the end of the night, three hours later I felt thoroughly cultured and had a sense for how great European living is. We spent Saturday exploring outside of Cluj to the south in the small town of Turda; more specifically in the Turda Salt Mines. Okay, I agree, at first I had the same thought. 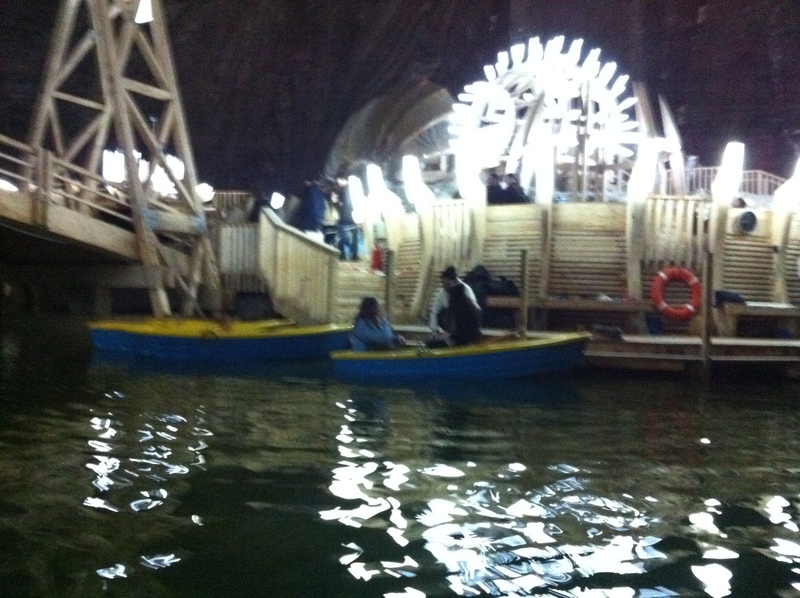 “Salt mines? Really? Yippie, this is going to be dreadful compared to the wonders that are Cluj.” Although, Cluj is hands down a more inviting place, the Salt Mines are a true spectacle to behold. You are probably imaging, wooden rickety mining carts on metal tracks, dangling underpowered overhead lights, generally dirty conditions and an upside down canary. After all, that is what a mine typically is. This, experiment in excavation turned tourist attraction, on the other hand is quite different. 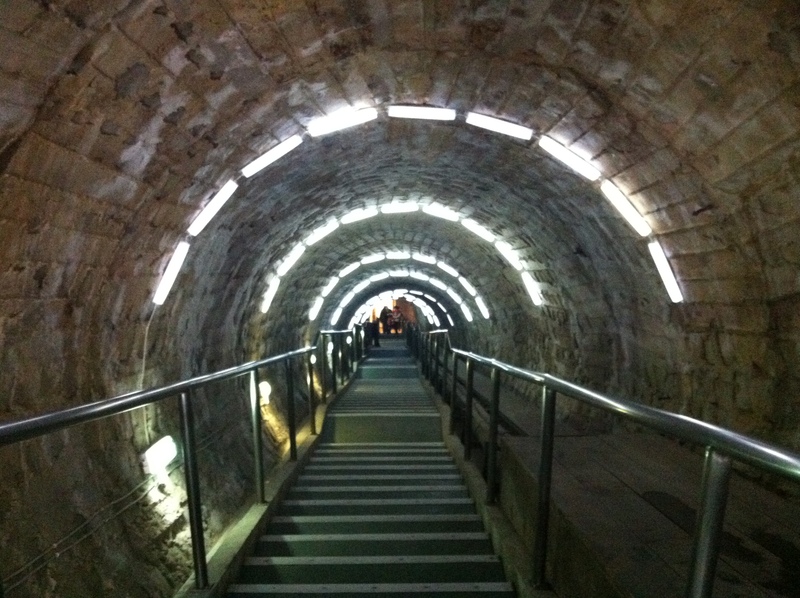 Once through the modernly designed building that houses the main entrance visitors walk down and along a seemingly endless straight though well-lit tunnel. If paying attention, you’ll catch the sign for the elevator and hang a sharp left or you will continue, like we did, until you find the exit at the other end of the tunnel. On the way to the elevator is where the sheer magnitude of this facility smacks your consciousness. 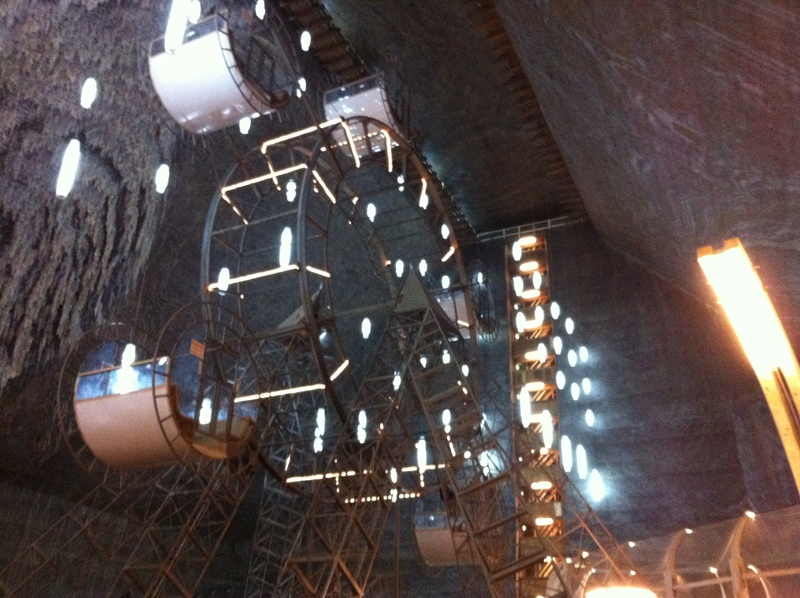 As you come around the corner, a railing appears along the edge of a cliff that overlooks everything the Turda Salt Mine has to offer, including an underground ferris wheel and paddleboat lake complete with its own island in the middle. If ferris wheels and paddleboats are not your fancy, then perhaps miniature golf, bowling or a myriad of other games would suit you better. 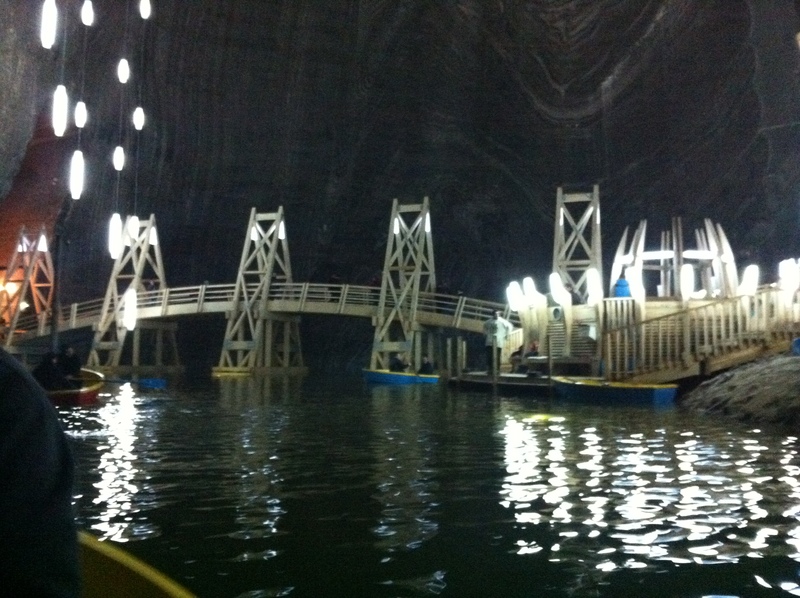 Okay, so the question now is “Why?” Why on earth would anyone create an underground amusement park? This type of thing would only make sense in the context of American or perhaps Emirati opulence, but in Romania? As it turns out, the Romanian people believe that the pure air laced with traces of salt found in these mines has many health benefits, but you’d get bored just hanging around in a cave breathing air, so the distractions help to pass the time. Regardless of “why” the whole place is quite amazing. Cluj certainly has a lot more to offer than I have time to cover here, but if you come to visit and are interested, I would be happy to take you there. In addition to history, culture and sightseeing, there is plenty of good food to eat and shopping to be done. 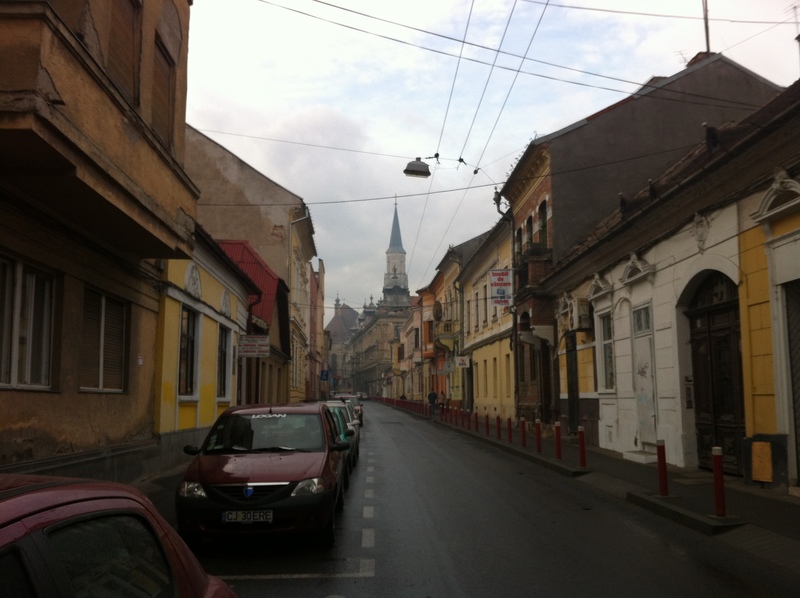 Every city in Romania that I visit seems to be my new favorite; the same is definitely true for Cluj-Napoca. P.S. 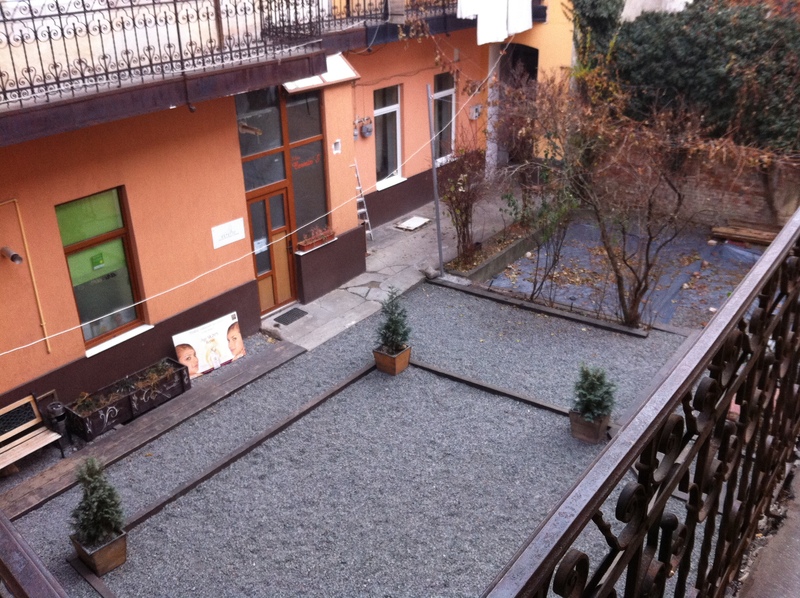 If you are looking for a good, clean and inexpensive place to stay, check out the Transylvania Hostel. The rooms are nice, the location is great and the owners are incredibly friendly and welcoming. If you are reading the email version of this post please click the title above to few the photos on the blog itself. 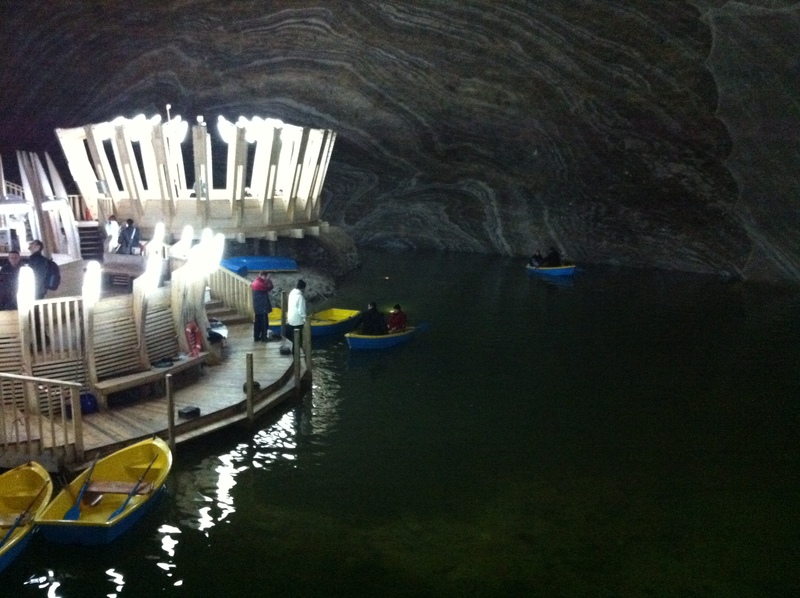 Do the amusement facilities and likely producing pollutants negate the health benefits of the salt mine air? I hope there aren’t any draughts down there. Hard to say exactly, but since everything is run through electricity its not like they are building up tons of pollutants in the cave. The power generation is likely above the surface. My guess is that any benefits are negated as soon as you step back outside though.